Letters to Elijah: Go Straight to Confession after Eating This! A crime was committed in my kitchen! I made Apple Dumplings. 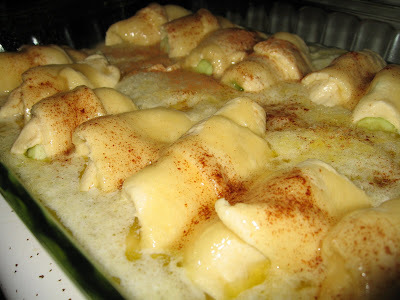 This recipe was found at The Pioneer Woman. A crime? Yes! After you read how these are made you will agree! These are perfect for a dessert at a dinner party. They are so easy to make. If you are not a pie maker - try these! 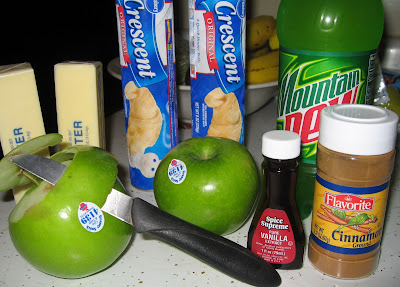 The suspects: Granny Smith apples, Butter, Sugar, Vanilla, Cinnamon, Pillsbury Crescent Rolls, and a bottle of Mountain Dew. 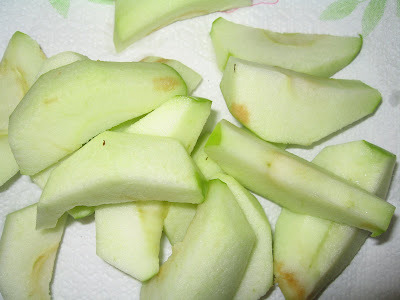 Cut up 2 granny smith apples into 8 slices each. Ignore the bruising - it's fine. 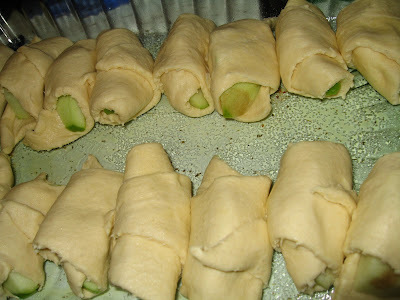 Roll each apple slice in a single serving of cresent roll. 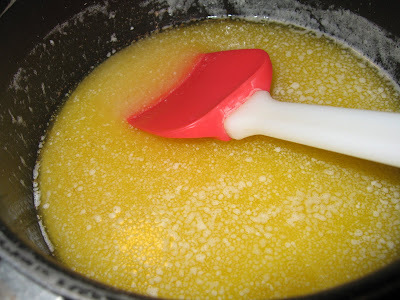 Melt butter and add sugar and vanilla..... no calories here! Pour butter mixture over apples. Add mountain dew and sprinkle with cinnamon. These are ready for the oven! 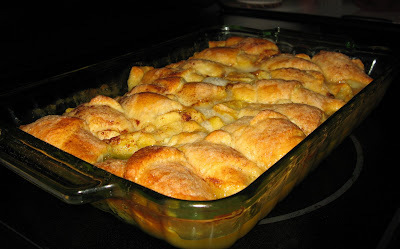 The result: Super sweet and crispy apple dumplings! Mountain Dew? Really? You have my curiosity up now. I may just have to try these for Thanksgiving! Ester.. these are to die for! Super Sweet! The Mountain Dew is throwing me off . . . that's so weird! They look super yummy though! I agree with the others - what the heck does the mountain dew do? The mountain dew helps create the sauce at the end. Have you ever made cola chicken? You use pepsi or coke.. good stuff! I know it sounds weird - but trust me.. it's so good! Sorry.. I was logged in as the weld guy.. that's what I use for testing at work. We've gotten a few people hooked on these--including ourselves! Yum! I've seen a recipe similar to this before. Never tried it but I might have to.